Remember a few weeks ago when we posted the Chocolate No-Cream Cheese Frosting recipe, and we promised that the brownie recipe would be up soon? 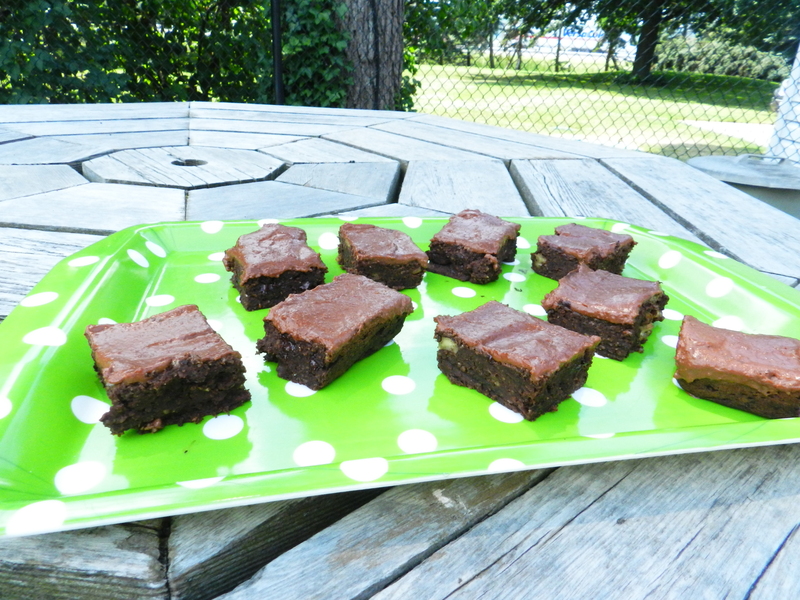 Well, shortly after that the temperature soared over 35 degrees and we didn’t want to turn on the oven, so our brownie experimenting had to be put on hold. However, we have finally done it! The temperature dropped and we had a stroke of fudgy genius. Oh wait, do you need a closer look? 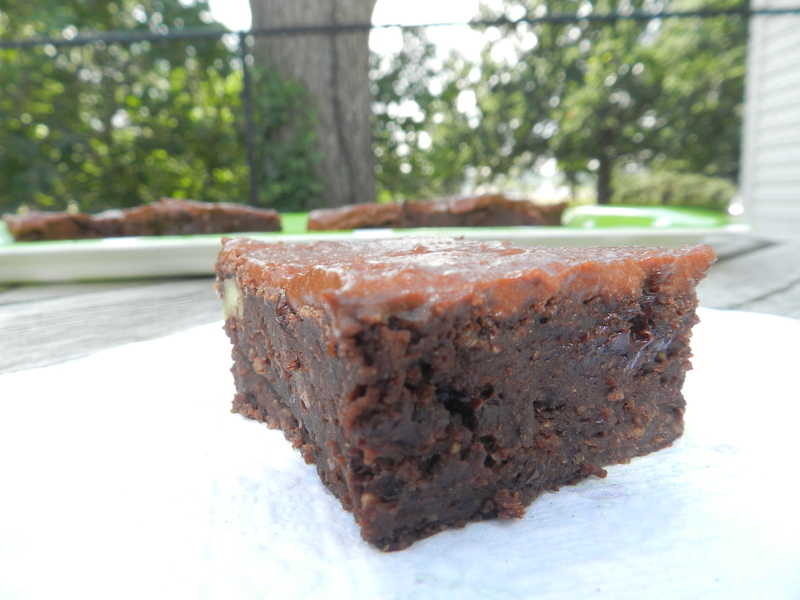 Our first attempt at the black bean brownie did not go quite so well. We used a recipe we found, with a few modifications, and it ended up tasting basically like a mashed up banana mixed with cocoa powder. Not so good. Luckily we came up with a delicious icing recipe that we could slather all over the top, which saved them (sort of). This time we decided we would just do all the work ourselves, and created our very own recipe- sans the internet. And you know what? We think we’ll be doing that from now on! We opted to use apple sauce instead of banana this time. Not that banana couldn’t work, its just that we still had the memory of last time’s mushy-chocolate-banana slab in our heads, and decided we had to go a completely different route. 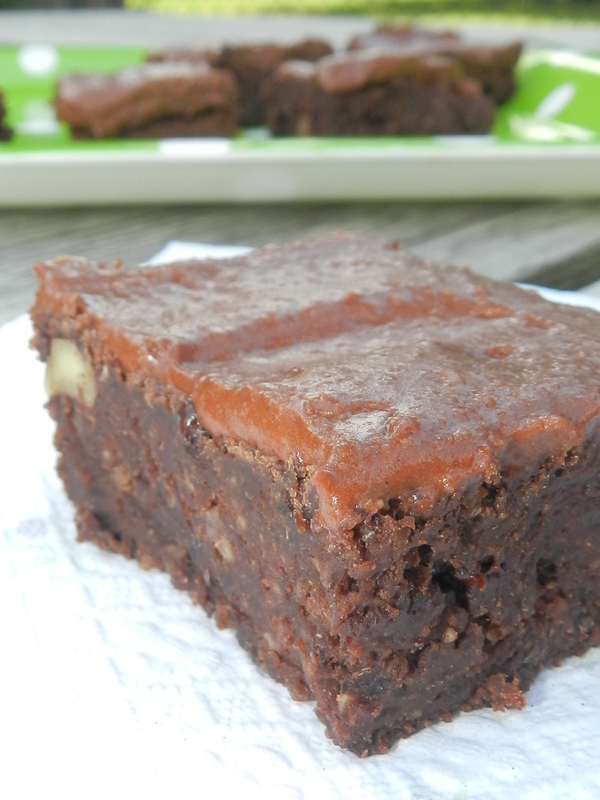 All you have to do is ensure you’re using certified gf oats for the brownies, and use a dairy-free milk alternative instead of regular cow’s milk in the icing. You could sub greek yogurt for the cottage cheese and add a dash of salt to the icing, and voila, you have a veganized version! So no one has any excuse not to make these. For those of you who have already read our icing post, you may want to have another look. We’ve changed the recipe a bit, and we think it is even better now. Because we know none of you were thinking of making these without the icing… that would be ridiculous! 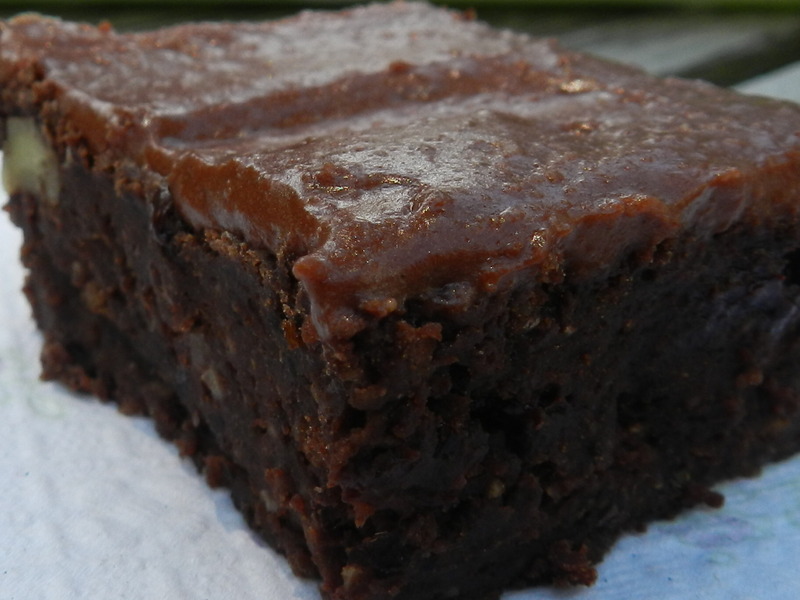 They’re high in fibre- black beans, oats, almonds, and apple sauce all contribute to about 4g of fibre per brownie- that’s more than a whole wheat slice of bread! 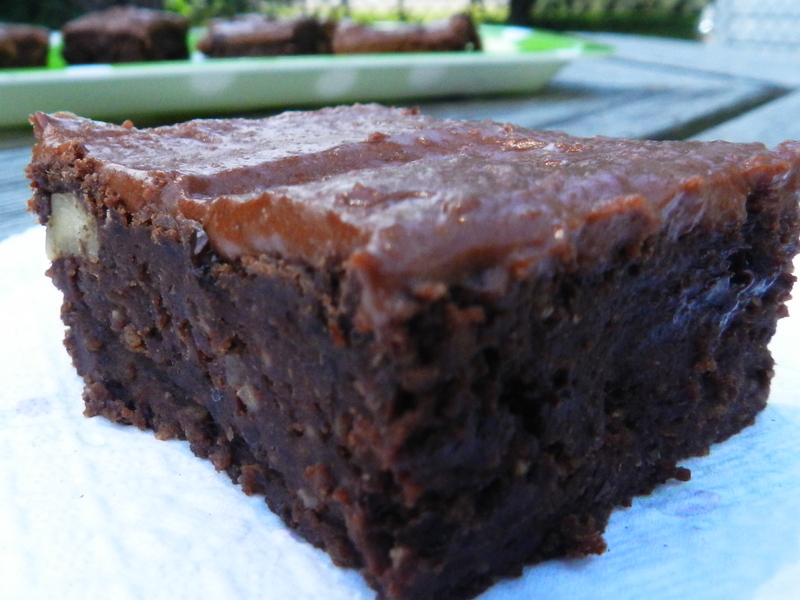 They’ve got protein– there’s about 3 grams of protein (not including the cottage cheese on the icing ;)) between the black beans and the brownies. 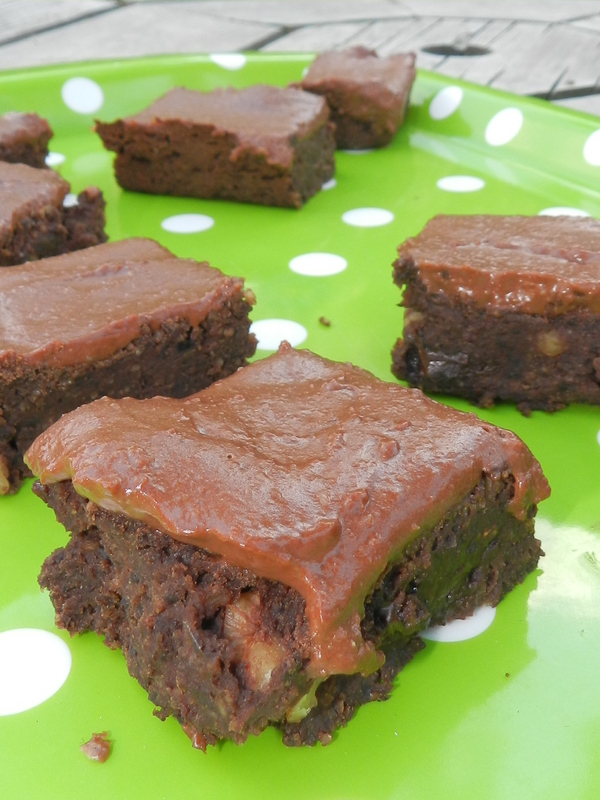 They’re Low in Fat– they’ve only got a bit of oil in the brownie and some healthy fat from the coconut butter in the icing and the almonds in the brownies. 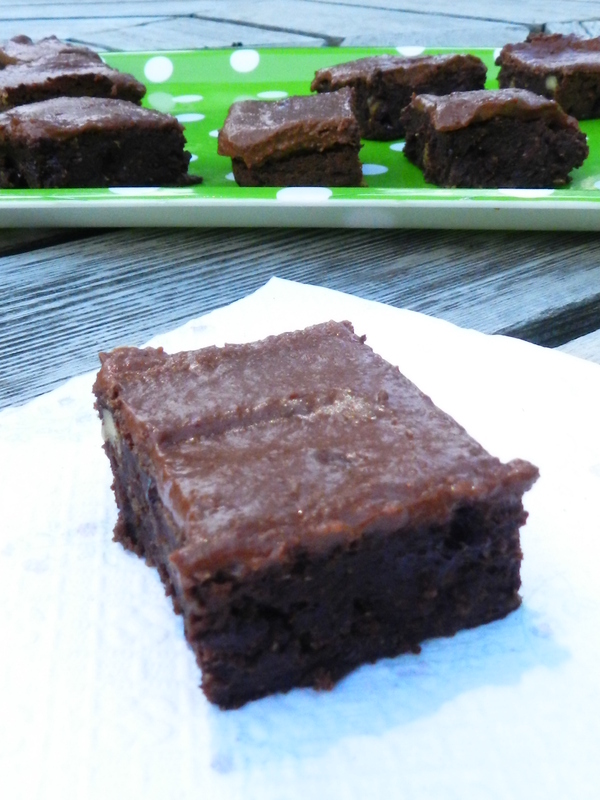 So enough with the chit-chat and go make some brownies! In the food processor, add all wet ingredients. Blend until smooth. Add wet to dry and mix well. 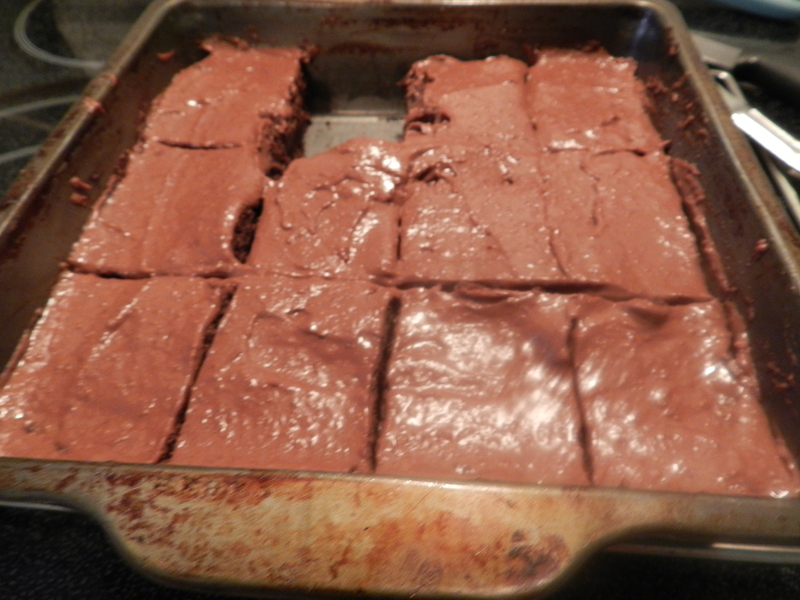 Pour batter into a greased 8X8inch pan and bake for 25min. Allow to cool for at least 10min before icing.